ECU is offering scholarships to current students and graduates at the Australian College of Business and Technology (ACBT) intending to study an undergraduate coursework degree offered by the School of Business and Law, School of Engineering, or School of Science at ECU. The scholarship provides eligible students $5,000 off their tuition fees each year for the duration of their course. You must not be a current ECU student to apply for this scholarship. Questions about this scholarship can be directed to Dr Ganesh Kothapalli at g.kothapalli@ecu.edu.au. not be in receipt of another scholarship. The scholarship recipient must pay their tuition fees within the stipulated payment deadlines. Failure to do so will negate the scholarship and the tuition fee structure will revert to full-fee international tuition. If you believe you are eligible, apply directly to ECU through the application portal, or submit your application through an ECU authorised agent. If you are successful in the application process, ECU Admissions will send you an offer letter. 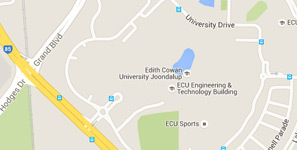 Contact: Dr Ganesh Kothapalli at g.kothapalli@ecu.edu.au.